Poros Island has it all; lovely beaches, pastel painted cottages, magnificent coastal path views, ancient ruins and a choice of uncrowded beaches. 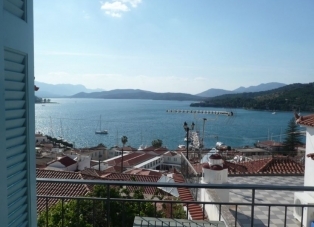 We have a number of apartments on Poros and houses for rent including Lemon Tree House situated in Poros town just 3 houses up from the bustling harbour. You can browse our selection of holiday accommodation below via your specific requirements. You can also email us with your requirements and we can recommend the best options for you based on what you want. 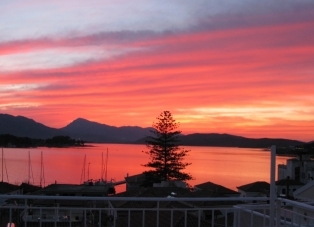 All of our staff have visited Poros so feel free to speak to us if you need help deciding. Poros Island has it all; lovely beaches, pastel painted cottages, magnificent coastal path views, ancient ruins and white stone churches and a choice of uncrowded beaches. 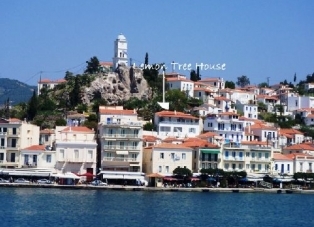 We have a number of apartments on Poros and houses for rent including Lemon Tree House which is our prized property situated in Poros town just 3 houses up from the bustling harbour. You can browse our selection of holiday accommodation below via your specific requirements. You can also email us with your requirements and we can recommend the best options for you based on what you want. All of our staff have visited Poros so feel free to speak to us if you need help decidingPoros Island has it all; lovely beaches, pastel painted cottages, magnificent coastal path views, ancient ruins and white stone churches and a choice of uncrowded beaches. 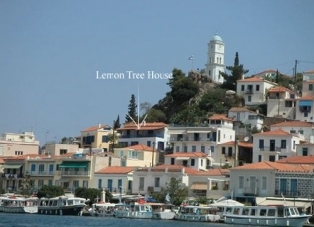 We have a number of apartments on Poros and houses for rent including Lemon Tree House which is our prized property situated in Poros town just 3 houses up from the bustling harbour.You can browse our selection of holiday accommodation below via your specific requirements. You can also email us with your requirements and we can recommend the best options for you based on what you want. All of our staff have visited Poros so feel free to speak to us if you need help deciding. Poros island is enjoyed by many tourists throughout the year as well as those Athenians escaping from the city. The pace here is slow, the food is fantastic and there are a number of sandy beaches to enjoy the sun. Poros is 1 hour on a boat from the port in Athens yet only 200m from Galatas on the mainland. Therer are a number of activities on Poros island and when you have done all there is to do you can explore the mainland where Ancient Epidavros is approx 45mins by car.Haven On Earth has a number of aparments on Poros and houses for rent including Lemon Tree House which is our prized property situated in Poros town just 3 houses up from the bustling harbour. See below a list of the wonderful beaches around Poros island. Askeli Beach: Askeli is situated a few kilometres north-east of Poros Town and offers a long and golden beach with clear water. There are several bars, hotels and tavernas near the beach. The beach is popular and can get quite busy during the summer months. Askeli beach can also be reached by bus that departs from Poros Town. Sunbeds can be hired for a small daily charge. Water sports and beach volley ball are also available here. Canali Beach: The beautiful long sandy beach of Canali is just 1.5km from Poros Town with some lovely tavernas which line the beachfront. It is possible to walk from Poros Town to Canali beach or by local bus. Sunbeds can be hired for a small daily charge. Love Bay: Lovely small and secluded bay is a real gem of sand and clear water. The beach is surrounded by pine trees and benefits from a little snack bar where refreshments and snack bars can be purchased. Sunbeds are available for hire at a small daily charge. Love Bay is reachable by bus from Poros Town. Megalo Neorio: The large beach of Megalo Neorio is situated a few kilometres north-west of Poros Town. This is a golden beach with a water sports centre on the beach as well as several tavernas nearby. Megalo Neorio Beach can be reached by a footpath from Neorio Beach or by local bus from Poros Town. Mikro Neorio Beach: Beautiful sandy beach that is located north-west of Poros Town by the town of Neorio. There are restaurants and tavernas nearby. Neorio Beach is reachable by a local bus departing from Poros Town. Monastiri Beach: The beach is situated to the east of Poros Town. The beach takes its name from the monastery situated up on the hills. This is a peaceful and tranquil beach set within beautiful scenery. There is a taverna on the beach and sun beds are available for hire at a small daily charge. The water is also good for diving. Russian Bay: Further along the road from Neorio beach is Russian Bay, reputedly the best beach of the island. The sandy bay has clear water and is well protected from the wind. The Russian Bay is a famous historical site where you will find beautiful ruins that line the beach. There is a small snack bar on the beach and sunbeds are available to hire at a small daily charge. The Russian Bay can be reached by bus from Poros Town. Vayionia Bay: Vayionia bay is located to the north of the island and is approximately 8km from Poros Town. A narrow and windy road leads down to the beach with can be reached by private transport or taxi as the bus does not reach here. The beach is an open cove and popular with fishernen. There are ruins of an ancient city under the sea which can be seen a few metres from the shoreline. There are a few sunbeds and umbrellas available at the beach as well as a small snack bar that is open during the summer. Poros town has a bustling harbour which is your first point of arrival from Piraeus or one of the other isalnds.. The harbour hosts the collection of power boats, yachts and super yachts that moor up throughout the year. There are a number of restaurants on the harbour with good fesh food and fantastic views out to sea and to mainland Greece. Poros town has a number of bars open throughout the day as well as late into the night. There are larger late bars/clubs further down the harbour if you want to continue thought the night; however this is not a party island and the late bars are filled with locals from Poros and Galatas as well as holidaymakers and those arriving on boats. Poros has a small square a few minutes walk up from the harbour where you can find traditional greek restaurants serving fantastic food supplied from their own butcher..
N.B.Rates quoted are for 8 people. Surcharge ¬£40 per person per week above this number.